What a wonderful weekend Jim and I had going to John's graduation! There were 893 recruits that graduated! John is now officially Seaman King. The first thing he noticed after we got to talk with him was that we were the first people to call him by his first name in over 7 weeks. The good news is that he will be home for Christmas. How proud you must be! It is wonderful that he is serving his country in this way. Congrats! 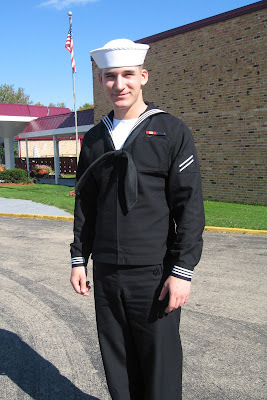 Congrats to Seaman King on his accomplishment! That's no small feat. What an accomplishment! That is so exciting for both him and your whole family.